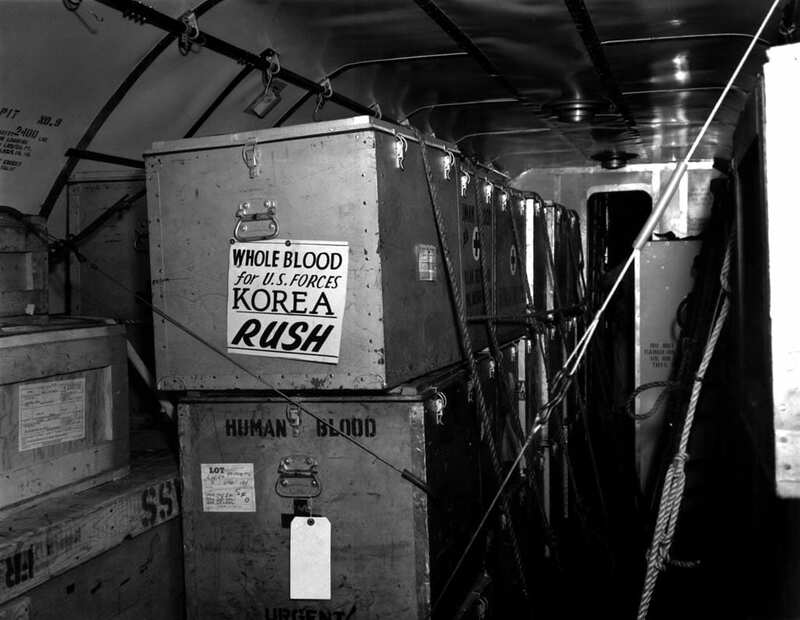 In January 1951, four aeromedical evacuation helicopter detachments arrived in Korea. One unit, the 1st Helicopter Detachment, never became operational because its helicopters were all reassigned to other units. As none of the units had organic administrative and support units, the remaining three detachments were attached to MASH units that had all the necessary support elements. As a result of the draft that alleviated the doctor shortage in the military, almost all the staff doctors in the MASH units were civilian draftees, and though they took their work seriously, they displayed a more relaxed attitude about Army rules, regulations, and discipline. 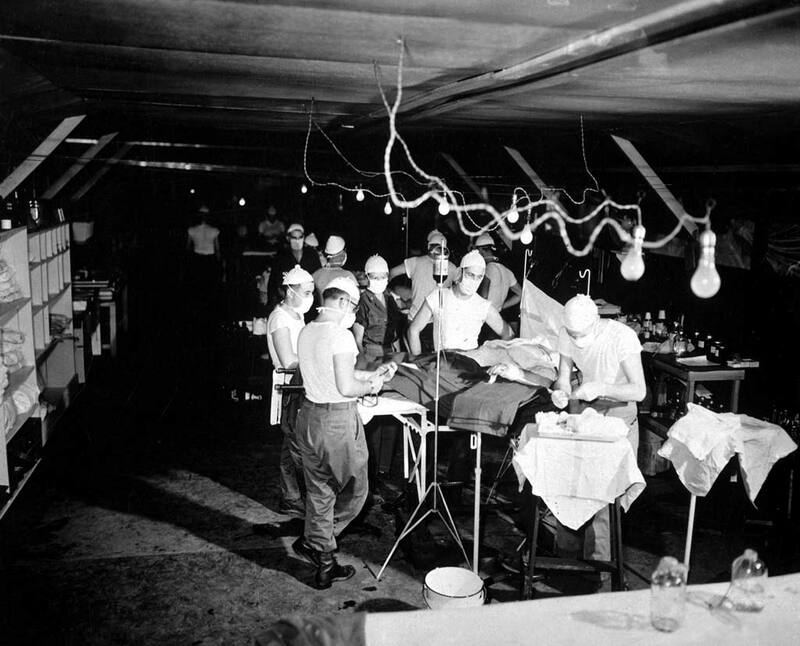 The Mobile Army Surgical Hospital evolved out of the Portable Army Surgical Hospital and the forward surgical teams of World War II. As its name suggests, it was a small, fully equipped and staffed hospital capable of following an army in its campaign. Originally conceived as 60-bed hospitals, as a result of the large numbers of wounded they received this soon expanded to 200 beds. As the war went on, orthopedic surgeons, surgical technicians and other enlisted, as well as more nurses were added to the personnel originally planned for the MASH. More vehicles and trailers were also added, as the fluid nature of the Korean conflict had meant the “mobile” in the MASH acronym was employed time and time again. As a result of the draft that alleviated the doctor shortage in the military, almost all the staff doctors in the MASH units were civilian draftees, and though they took their work seriously, they displayed a more relaxed attitude about Army rules, regulations, and discipline. Dr. H. Richard Hornberger was one such medical draftee, assigned to the 8055th MASH. His experience with the unit served as the basis for his 1968 bestselling book M*A*S*H, which later became an Academy Award-winning movie and a successful, long-running television series. The medevac helicopters used in the Korean War were the Sikorsky H-5, the Bell H-13, and the Hiller H-23. They were fragile, high-maintenance aircraft with limited range. The early models had no radio or instrument lights in their cockpits. They couldn’t operate in bad weather, were limited on where they could land, and were fatally vulnerable to enemy ground fire. Even though they were not supposed to fly medevac missions at night, in emergencies many pilots did, holding a flashlight between their knees in order to see their instruments. Even though they were not supposed to fly medevac missions at night, in emergencies many pilots did, holding a flashlight between their knees in order to see their instruments. Ironically, the lack of a radio in some of the helicopters proved a boon. This forced the implementation of a doctrine using colored smoke grenades, marker panels, and hand signals to identify locations and landing sites. 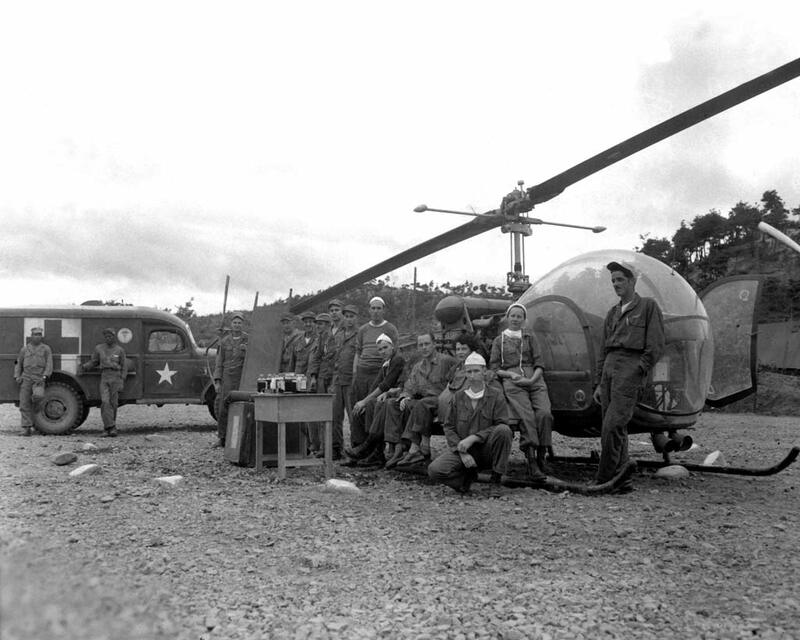 In addition to the direct lifesaving benefit of swift transport from the battlefield to the MASH unit, the use of helicopters had an ancillary benefit: It boosted morale. Troops on the front knew that should they get seriously wounded, even if their unit was cut off, they could still be evacuated. Also, once casualties were strapped into a litter pod they tended to develop a “the worst is over” feeling, which contributed to their recovery. Troops on the front knew that should they get seriously wounded, even if their unit was cut off, they could still be evacuated. Also, once casualties were strapped into a litter pod they tended to develop a “the worst is over” feeling, which contributed to their recovery. Though the primary focus by the military medical staffs was on the care of the uniformed personnel that composed the United Nations Command (UNC) they became involved in additional missions during the war. As a result of the 50-year Japanese occupation of the country that had killed, imprisoned, or exiled almost all the educated classes, there were almost no Korean doctors for the civilian population. UNC medical staff at all levels assisted in giving care to civilians throughout the war whenever duties permitted. One of the most unusual, and certainly the most dangerous event involving military medical personnel, was a deep penetration special operations mission into North Korea involving the theater’s top military medical officer, Chief of the Public Health and Welfare Section of the Supreme Commander of Allied Powers in East Asia Brig. Gen. Crawford F. Sams. As United Nations (U.N.) troops crossed the 38th parallel and advanced north in the fall of 1950, they encountered a civilian population decimated by epidemics of typhus, smallpox, and typhoid. In addition, captured North Korean, and later Chinese, troops were ill with these and other contagious diseases. As United Nations (U.N.) troops crossed the 38th parallel and advanced north in the fall of 1950, they encountered a civilian population decimated by epidemics of typhus, smallpox, and typhoid. In addition, captured North Korean, and later Chinese, troops were ill with these and other contagious diseases. All the U.N. personnel had been vaccinated for the variety of diseases they were expected to encounter. But what troubled Sams, who received POW debriefing transcripts, were mentions of men turning black as they died. This suggested to him that bubonic plague – the Black Death – was in Korea. Unlike other vaccines, the one for bubonic plague renders only a short-term immunity. Because the plague threatened both the U.N. troops and approximately 23 million civilians in South Korea and it would take time to produce sufficient vaccine to inoculate everyone, confirming the presence of bubonic plague became a top priority. By February 1951, word of disease epidemics in the Communist armies and civilian population were becoming generally known. The North Koreans and Chinese Communists launched a propaganda campaign accusing Eighth Army Commander Gen. Matthew B. Ridgway and supreme commander MacArthur of conducting biological warfare, and demanding they be tried for crimes against humanity. The charges were false. The truth was that North Korea’s rudimentary health care system had collapsed under the combined weight of tens of thousands of infected troops, a large displaced population, bad hygiene, and other problems. But to conclusively refute the accusation, MacArthur needed proof delivered by an authority on the disease. Since the communists refused to allow the independent International Red Cross access to the infected areas, MacArthur had to take matters into his own hands. That meant a special operations mission into one of the infected regions with an expert on the disease who would examine victims, take samples, and if possible, capture someone with the disease and return to Japan with him. The problem was, there was only one man in the theater who had hands-on experience dealing with the disease: Sams. If the theater’s top surgeon general, and a general officer, were killed or captured during the mission, the communists would achieve an immense propaganda coup. Nonetheless, MacArthur agreed. “Operation Sams,” as the mission came to be known, was on. The problem was, there was only one man in the theater who had hands-on experience dealing with the disease: Sams. If the theater’s top surgeon general, and a general officer, were killed or captured during the mission, the communists would achieve an immense propaganda coup. Operation Sams was led by Navy Lt. Eugene F. Clark, who earlier had conducted a harrowing reconnaissance mission of Inchon for the amphibious assault of the harbor. Despite the mission being compromised, in the middle of March 1951 Clark’s team, including Sams, was able to covertly land near the North Korean port of Wonsan, an area where bubonic plague had been reported. They found a makeshift hospital. Though he confirmed other diseases, Sams determined there was no evidence of bubonic plague. As it turned out, the “Black Death” plague was actually a virulent form of smallpox known as hemorrhagic smallpox, which also causes the body to turn black as the victim nears death. The team was able to safely return to Japan, where Sams made his findings public, effectively destroying the credibility of the accusations. 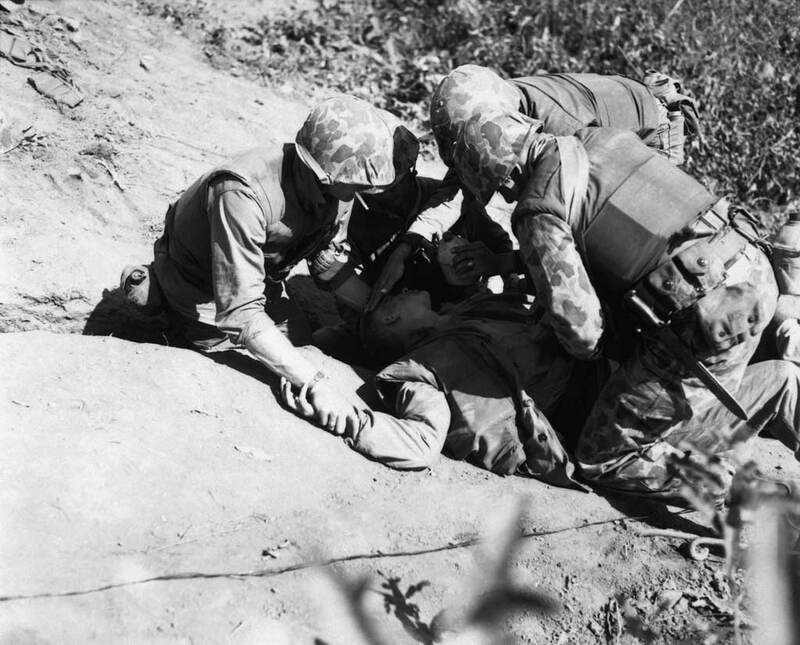 The successes of the MASH and aeromedical evacuation system in Korea were a watershed for military medical care, and the lessons learned, later applied and refined during the Vietnam War, have proved just as applicable today as they were in the 1950s. 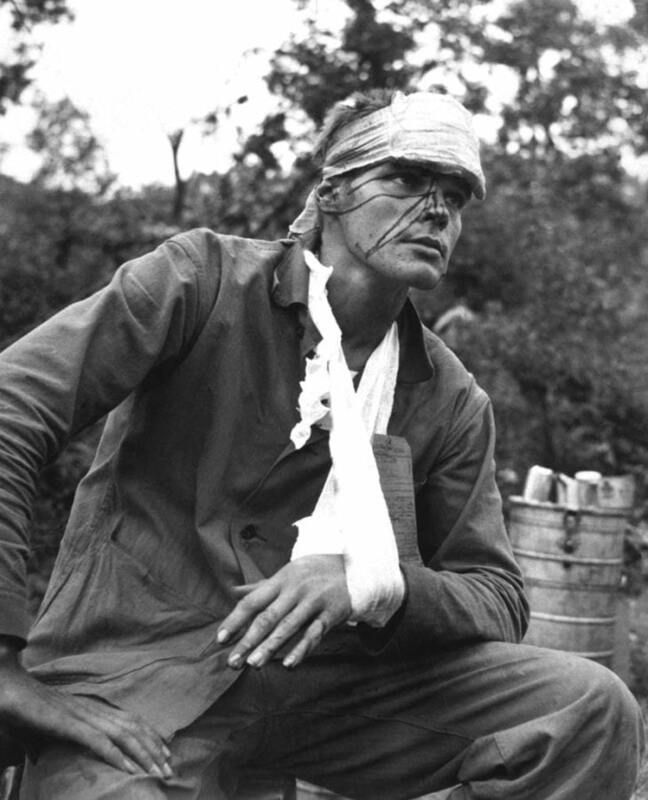 This article was first published in The Forgotten War: 60th Anniversary of the Korean War.